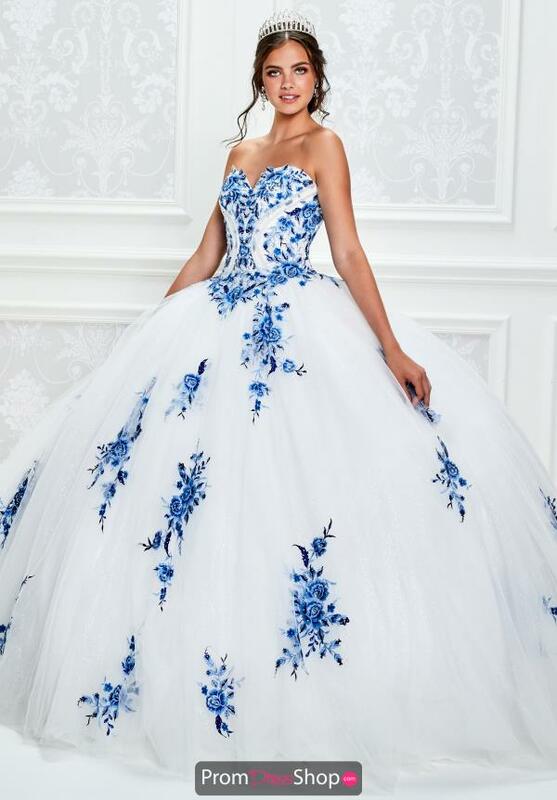 Absolutely stunning quinceanera dress PR11928 by Princesa is pure perfection. Featured is a sliming corset bodice beautifully detailed with sparkling bead work, and a flattering strapless sweetheart neckline. The full skirt is made of voluminous tulle fabric while showcasing gorgeous contrasting embroidery. The jacket and separate flared sleeves are included as a stylish touch.